MONDAY	PASAJES, HONDARRIBIA and HENDAIA Departure from San Sebastian at 9:30 am from Frantzia Pasealekua 21, we will go to Pasajes San Pedro where we will visit the Mater Boat-Museum and learn about the traditional Basque fishing gear. We will pass by boat to Pasajes de San Juan, where we will visit Victor Hugo's house. We will continue to Hondarribia, there we will learn about its important cultural and artistic heritage, full of a rich history. 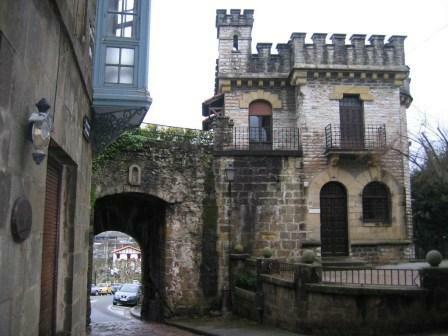 Its walls, many of them still standing and in constant process of recovery, give to Hondarribia a special physiognomy, evoking an epic past and impregnating every corner, alley, and place of aromas, flavors and sounds that transport us to other eras. Lunch in Hondarribia. We will continue our journey crossing to Hendaia in the maritime line that unites these two populations. 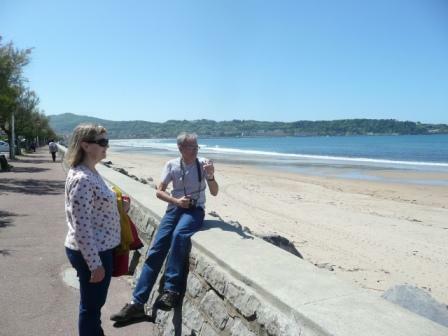 Short visit to Hendaia, with its fine sand beach of 3 km, which is the largest in the entire Basque Country. Return to San Sebastian about 17:30 and free time. Continue to Pamplona to arrive about 18:30. DEPARTURE DATES 2019 Mondays from 8/01/18-11/03/2019 (See Holy Week, Christmas and holidays). RETAIL PRICES Prices from 2 pers:	80 €/pers INCLUDED - Transport according to the group's composition in luxury minivans or coaches. - Lunch. - Guided visit to Mater Boat-Museum. 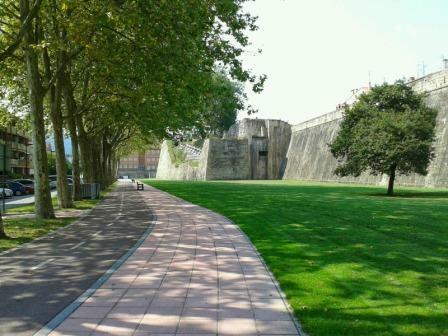 - Guided tour of the historical center of Pasajes de San Juan - Entrance to the House-Museum of Victor Hugo. - Passage in motor of Passages of San Pedro to Passages of San Juan. - Boat trip from Hondarribia to Hendaia. - Companion Guide. For groups of less than 15 people, you can be a driver-guide. In some cases we can have local guides and chauffeur-accompanist. - Information material about the trip. - Basic Travel Assistance Insurance. NOT INCLUDED - Travel Assistance Insurance with Cancellation. - All personal expenses like drinks, tips, etc... - Any other expenses not specified in the program and not mentioned as included. IMPORTANT NOTES - Visits may be modified by changes of the entities to be visited, due to weather conditions, causes beyond our control or by programming adjustments. - Children between 2 and 12 years old must be accompanied by adults. - Groups with less than 20 people visits may vary in content as well as form, having to accommodate / adjust to the regular visits that are made in the places to visit.